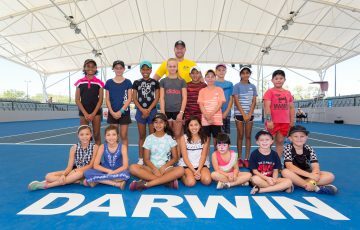 On Saturday August 18, former Australian tennis player Sam Groth paid a special visit to the Proserpine District Lawn Tennis Association to present the tennis club with a $10,000 ANZ Tennis Hot Shots community grant as part of the official reopening of the club after Cyclone Debbie tragically hit in 2017. The Proserpine District Lawn Tennis Association hasn’t been operational since the cyclone and officially opened its gates last Saturday before a Free Tennis Day was held on Sunday. 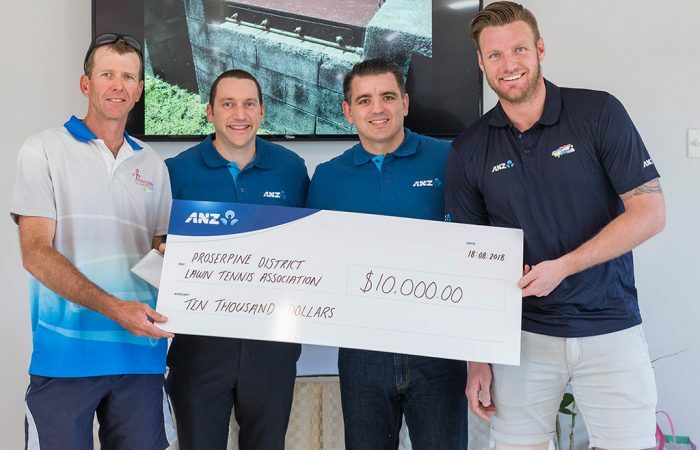 The ANZ community grants have been awarded across Australia to help local tennis clubs deliver the ANZ Tennis Hot Shots program and includes merchandise, equipment, signage and access to a local ANZ specialist banker. Proserpine District Lawn Tennis Association will use the grant to install air conditioning in the club house and make their facility more secure by placing security screens on the windows. 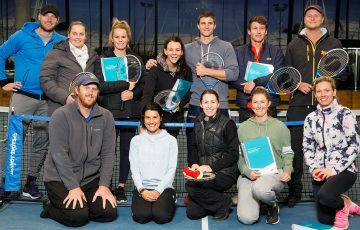 “We are grateful for ANZ’s ongoing support of tennis and the ANZ Tennis Hot Shots program, and their commitment to growing the game from the grassroots level up. We’re excited for Proserpine District Lawn Tennis Association and we know they will make the most of this wonderful opportunity,” said Tennis Australia CEO Craig Tiley. 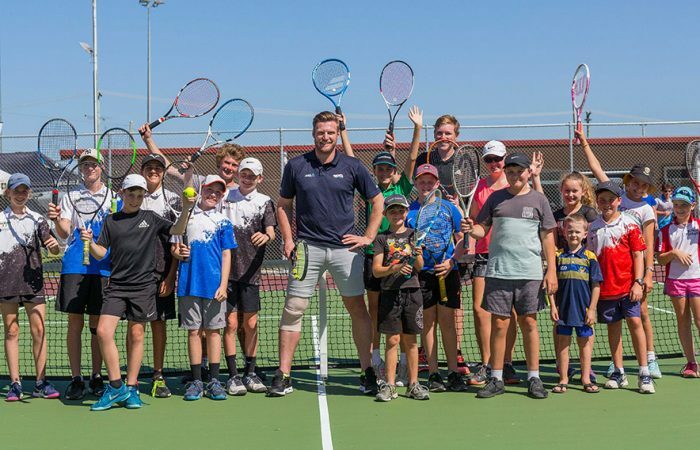 Former Australian Tennis player Sam Groth agreed and said ANZ’s commitment to the Hot Shots program was fostering a love for tennis from a young age and helping to connect more kids to the sport. 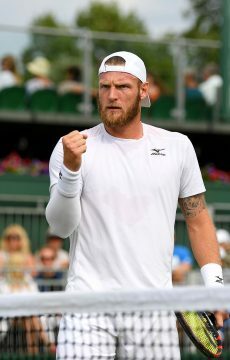 “The young ones are the future of the game,” Groth said. 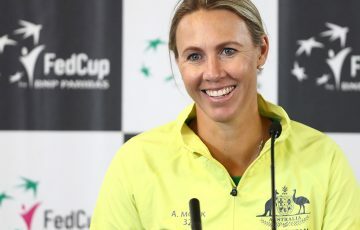 “They are the ones in 10 years, 20 years, even 50 years are going to be the backbone of clubs like this and I think what ANZ does by sponsoring the Hot Shots program to being one of the major partners of the Australian Open is incredible. 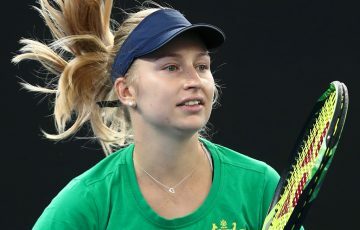 “It’s the support of the whole journey from when you first pick up a racquet or you step on the court at Rod Laver Arena. “Not every kid that comes through the club and plays Hot Shots is going to end up playing at the Australian Open but you never know who may be the next president of Proserpine Tennis Club or a similar club throughout Australia. The Free Tennis Day on Sunday was a hit with the locals happy to have their club back open to the public once again. The Sunday provided an opportunity for families to jump on the court and have a hit plus Junior Development Series and raffles were held on the day. 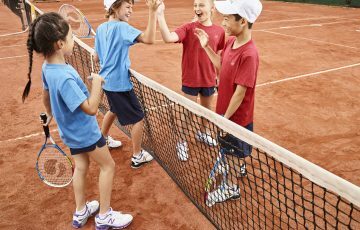 ANZ Tennis Hot Shots is Tennis Australia’s official tennis development program for children aged between five and 12 years of age. It uses smaller courts, lighter racquets, lower nets and low compression balls making it suitable for children of all abilities. 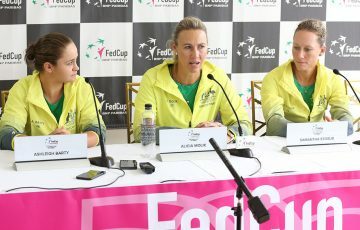 For more information in the program visit http://www.hotshots.tennis.com.au.